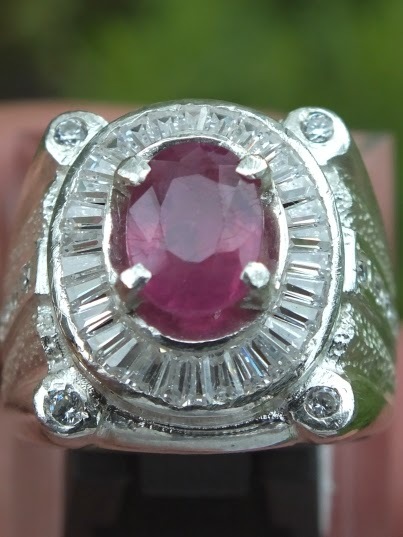 This is a beautiful Natural Madagascar Ruby set on a good 18mm silver ring. The red color is more intense tahn the picture. 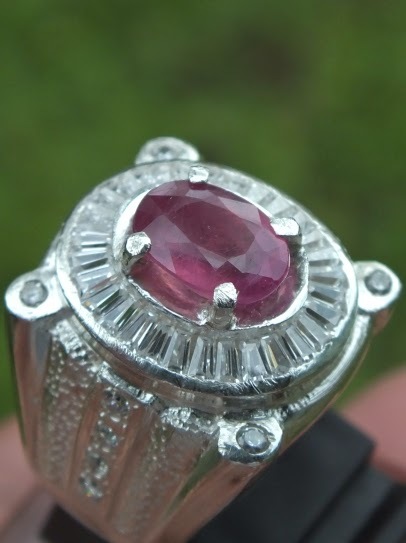 African Rubies are commonly heated and Glass-filled. 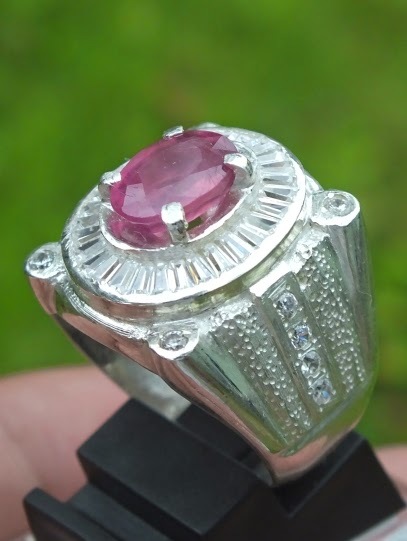 The size of the gems is (est) 9mm x 6,5mm x 3,5mm. Price: Rp. 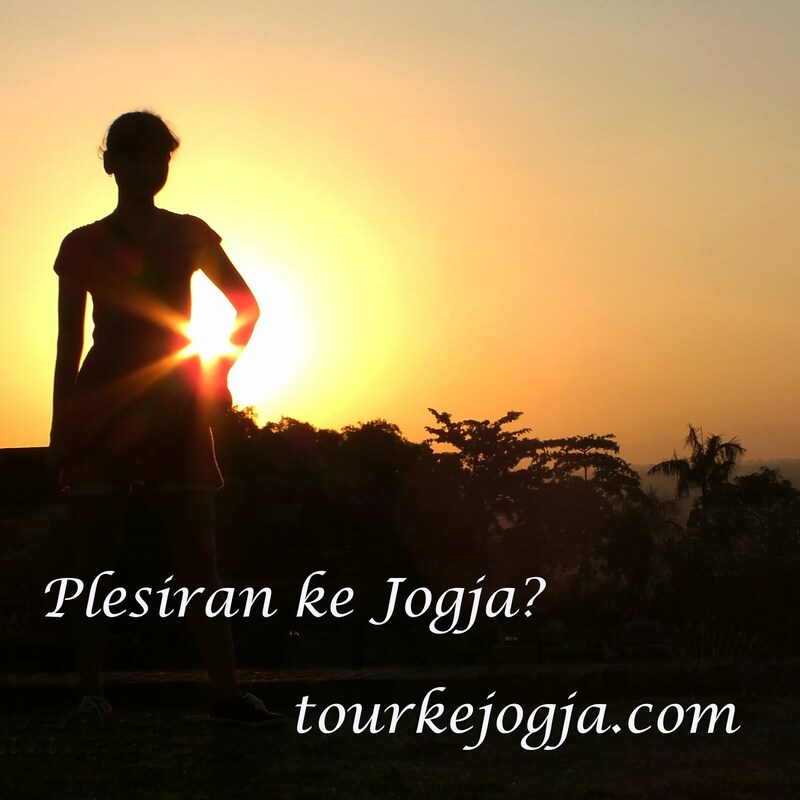 560.000,- shipping cost is included for Indonesia delivery areas only! 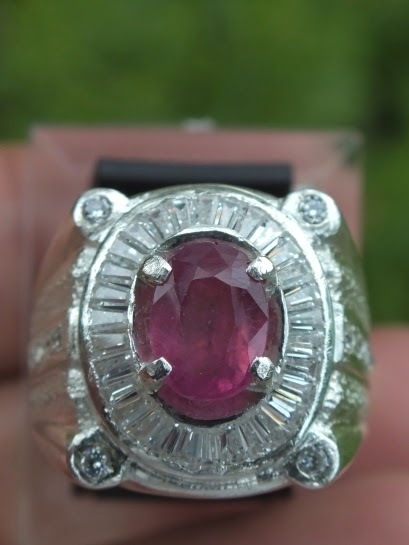 Get this beautiful Corundum now!! 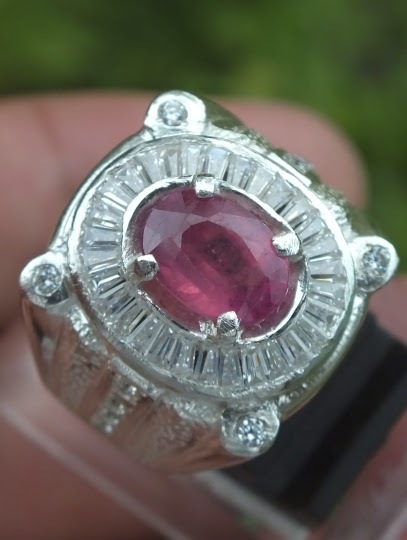 Natural Madagascar Ruby!